Light is life, as besides reflecting a city’s features, it is also able to reveal the social aspects characterizing the place. 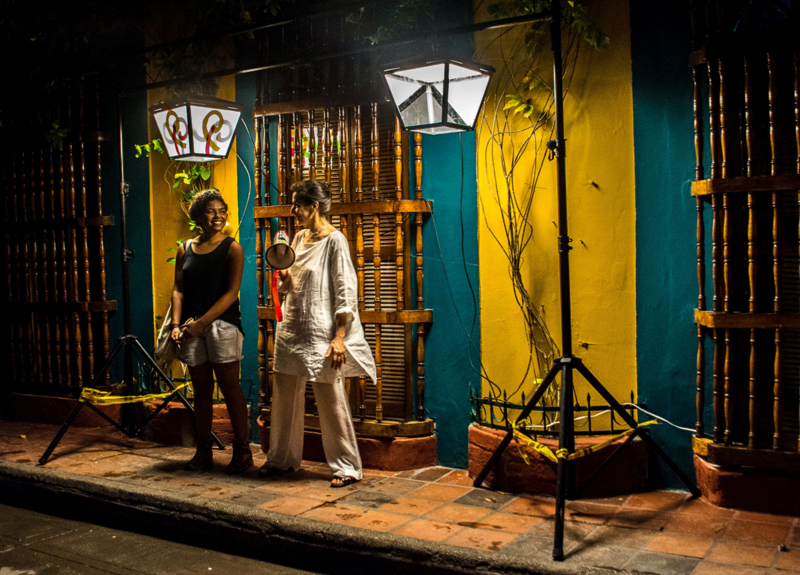 Starting from this premise, the Arup Lighting team launched a collaborative research project aiming to promote new lighting solutions which are able to improve general wellbeing and safety levels in the community; they kick-started the project in Getsemanì, a UNESCO world-heritage district in Cartagena, Colombia. iGuzzini was involved in the initiative spearheaded by Arup’s Lighting team with the urban-lighting leader Leni Schwendinger; Don Slater, co-director of the Configuring Light research group at the London School of Economics, Universidad Jorge Tadeo Lozano and Despacio (local mobility research partners), Findeter (Development Bank); and Citelum. Smart Everyday Nighttime Design focused on innovative ways to improve the night-time activities in Getsemanì, a place that is undergoing rapid gentrification. While tourists are drawn to the area’s colourful authenticity, culture and nightlife, the neighbourhood is becoming synonymous with deep inequality and division, particularly after dark. Supporting the initiative extended our collaboration with the London School of Economics and the Social Light Movement, known as “Configuring Light - Staging the Social”. The collaboration is aimed at creating a manual for lighting designers, where the lighting plan is not only a set of technical data (illumination levels, standards compliance, etc. ), but is also based on methodologies derived from social sciences. Alongside Configuring Light, we were involved in the rejuvenation of underprivileged areas through light. Past projects were carried out in London, Muscat, Belgrade, Brisbane and Rome. Our involvement also allows us to continue our partnership with Arup’s lighting division with whom iGuzzini collaborated significantly over the years. Certain projects are particularly worth mentioning, as follows: HK International Airport, Hong Kong; The Stavros Niarchos Foundation Cultural Centre, Greece; Dublin Airport Terminal 2, Ireland; The Crystal, UK; The Leadenhall Building, UK; The Isabella Stewart Gardner Museum, USA; The Whitney Museum of American Art, USA; The Harvard Art Museum, USA; The California Academy of Sciences, USA and so on. iGuzzini and Arup had also teamed up for the design and development of the View spotlight – winner of the iF Design Award earlier this year – and the recessed version of Reflex Super Comfort – designed to meet the particular requirements of the Hong Kong International Airport lighting project. Smart Everyday Design Nighttime offers new opportunities for improvement of economic conditions, public health, social life, security and safety after dark, giving iGuzzini yet another opportunity to reaffirm its commitment to human wellbeing. For further information, visit http://research.arup.com/projects/smart-night-time-design-principles-and-methods/ . The project’s findings are summarised in this video by Plane—Site, available in both English and Spanish.